Or as low as $21.67 per month over 12 months. Apply Now. Expandable TV brackets ensure a perfect Fit. SKU: VMPL3B3 Category: TV Wall Mounts larger than 42"
Sanus VMPL3-B3 Tilting And Low Profile Mount For 27″ – 90″ TVS. 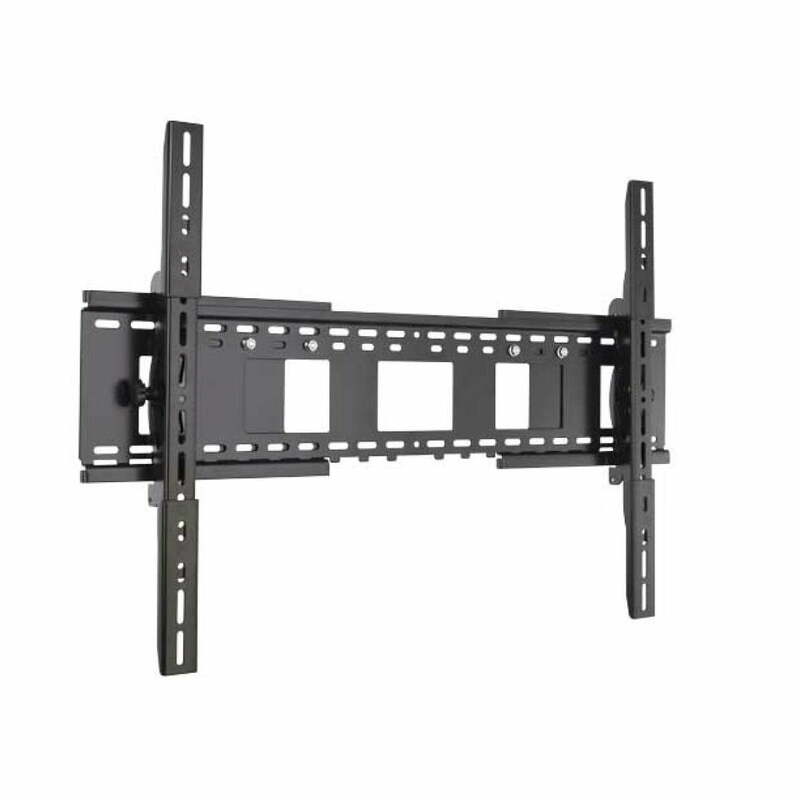 This dual-purpose tilting and low-profile wall mount fits TVs from 27″ – 110″ and up to 280 lbs / 127.27 kg. Virtual Axis™ allows the TV to tilt up or down with the push of a finger, helping you reduce glare from lights or windows and find the perfect viewing angle. The VMPL3 features an adjustable design that expands and retracts to offer a custom fit for most TVs. Lateral shift allows the TV to move left and right on the wall plate so it’s placed exactly where you want it. TV is positioned just 2.5″ / 6.35 cm from the wall with tilting brackets or 1.25″ / 3.18 cm from the wall with low-profile brackets for a clean, flush appearance. Solid heavy-gauge steel construction offers a sleek, high-tech look while providing strength and durability.